Firefall!! – Just Stop and Paint It! 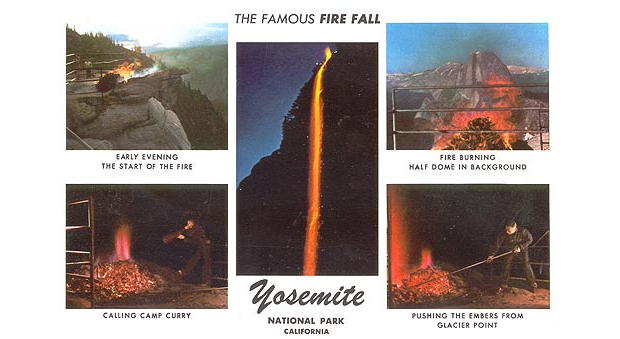 In 1968 due to a variety of reasons, the Firefall was discontinued. 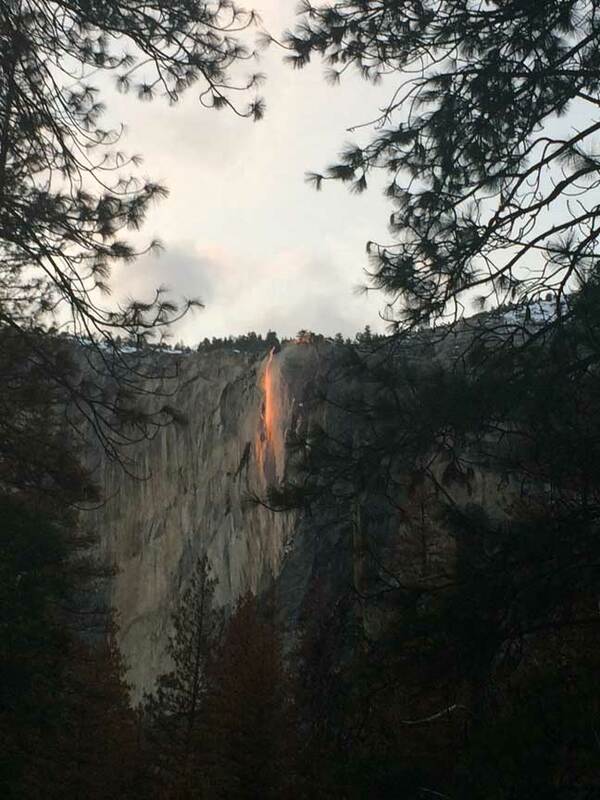 However, today, there is an even more wonderous and totally natural Firefall. 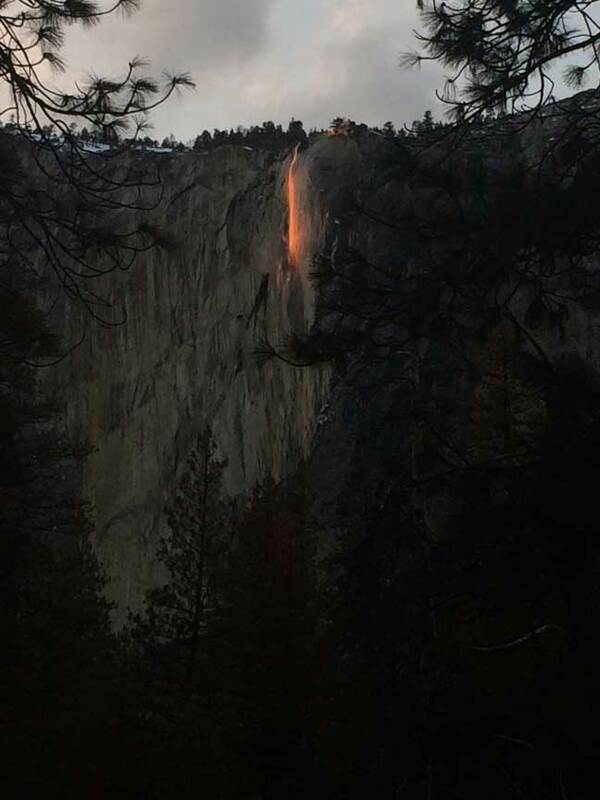 Each year for a week or two in February the setting sun beams up the valley and illuminates Horsetail Falls, and when conditions are perfect, it glows orange and red for a brief time. It’s hit and miss because the sky must be relatively clear, and there has to be enough flowing water in the falls. 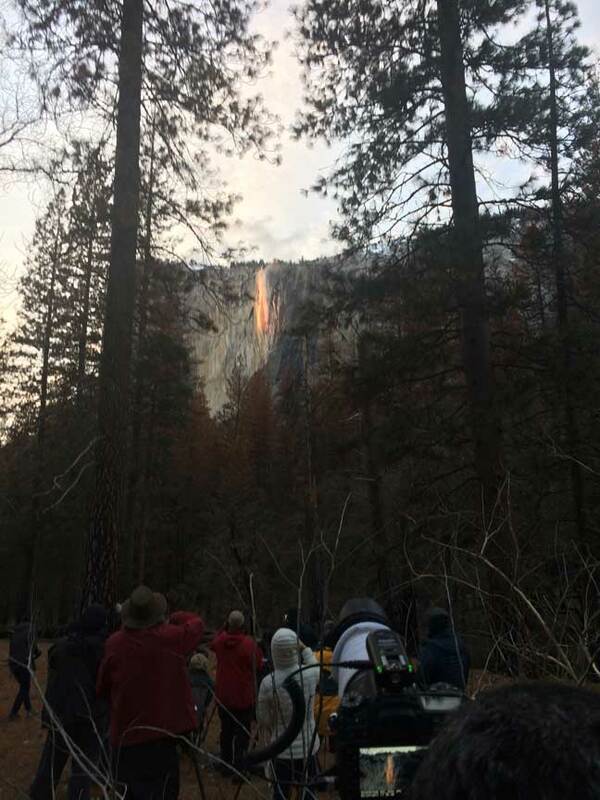 Due to the drought in California there has been no Firefall the last five years. I happened to be in Yosemite Valley for an art opening, so was anxious to see it if conditions permitted. It was quite a crowd…hundreds of photographers and nature enthusiasts were out. The park service accommodates everyone by blocking off one lane of the road for about a mile of parking. I got lucky and there was an empty parking spot right by the best viewing area. Of course, I have seen many pictures of it over the years, and always thought the photos had to be enhanced or touched up. Not so…I wasn’t disappointed. 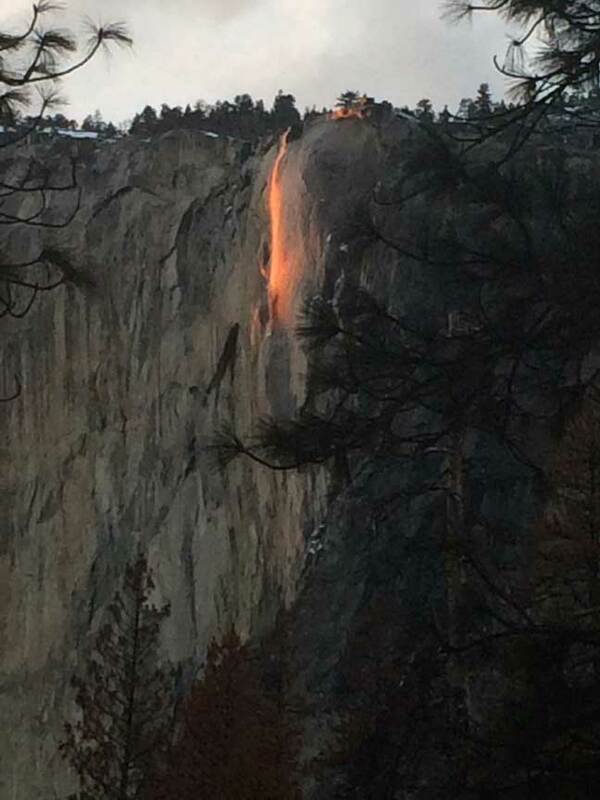 The falls were just glowing a bright orange for about 10 minutes. It was like someone hung a giant glow stick over the edge of the cliff. Below are photos taken with my iPhone which are not touched up or enhanced in any way. Stay tuned as I am working on a short video of my quick visit to the valley, along with video of the Firefall, plein air painting, lots of running water, and other wonders.